Episode 13 – Pay $150 and get a light up statue! This is not the statue I am speaking of, nor is it lighted. In case the title misleads you…. no, we are not going to sell you what I am sure would be a VERY amazing LDG statue that lights up for $150, well, unless you want us to. However today, when you listen to the show, you will find out who is hoping you will buy their $150 light up statue. I personally think there has been enough of this $150 BS, but obviously not all of the game developers agree with me. Ah, the bane of our existence, the slow news week….. Lots of fun covered today on the show, so much so that we went over by ten minutes, but at this point, I am positive that you are so addicted to our voices, that if the show were six hours long, you would be glued to the whole thing. Or, at the very least, you could use it to put yourself out of your misery! E3 is coming soon, and it has caused every major news maker to pull in all of their info to get ready to explode on the E3 scene. As always, we discussed some great stories, some amazing ideas, and brought you, the listeners into the show with us by talking about you, and telling the world what you had to say. We of course hope you enjoy listening to the show as much as we enjoyed making it for you. [iTunes] Subscribe to Link Dead Gaming directly in iTunes. [RSS] Add Link Dead Gaming to your RSS aggregator. [MP3] Right click in the brackets and choose “save link as” to download. It’s the 25th anniversary of Street Fighter already? I remember back in the day playing Alpha 3 with my brothers; gawking at the 2D animation and reveling in it’s glory. If you ask me, the games included sound quite nice. 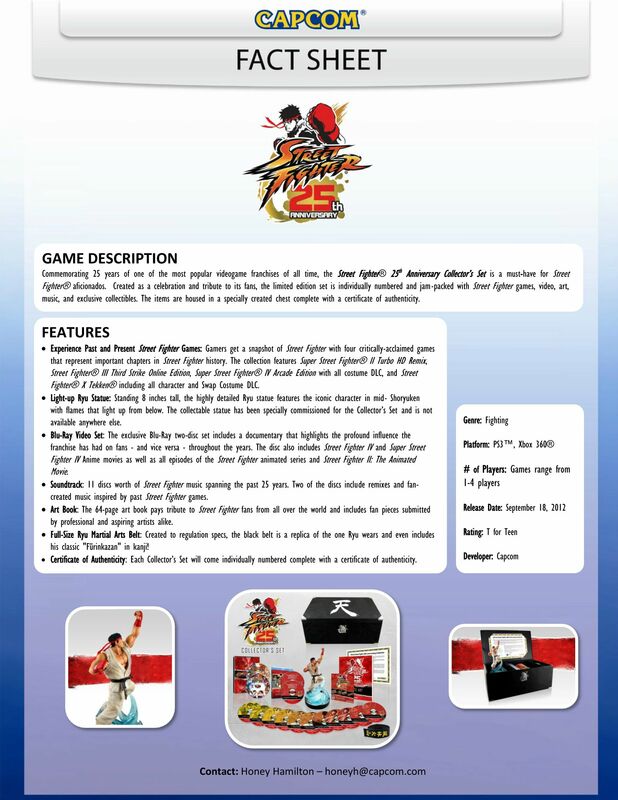 No doubt some devoted Street Fighter fans out there will buy this. Will you? The set even includes a light up Ryu statue! How ’bout that?